Step 1: Go to "Control Panel". 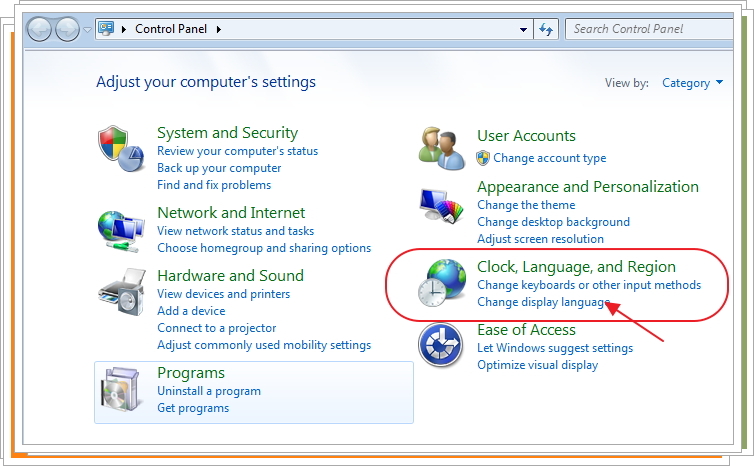 Choose Icon "Clock, Language, and Region", then click "Change display language". 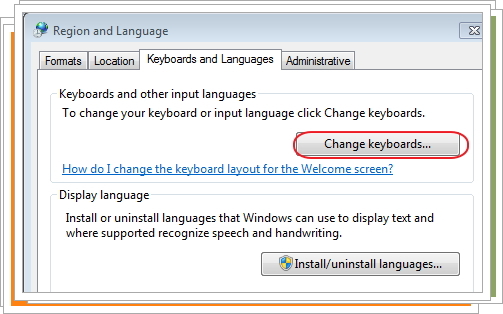 Step 2: Then, click "Change Keyboards..."
Step 3: Then click "Add". 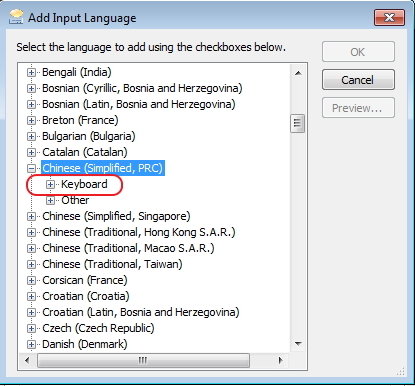 Step 5: Double click "Chinese (Simplified, PRC)", and then double click the "Keyboard". 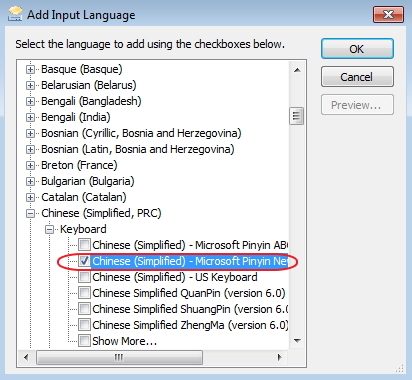 Step 6: Choose "Chinese (Simplified)-Microsoft Pinyin New Experience. Then click "Ok". Step 7: Then Click "Apply". Step 8: And then click "OK". Your computer now has the Chinese Pinyin Key-In Method set up. 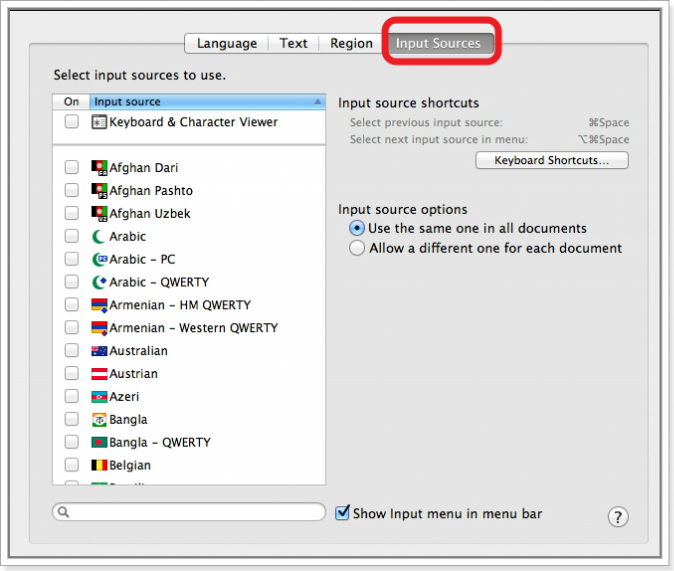 In order for you to type in the Chinese words, you can open the Microsoft WORD or any other document. And then click the language key. 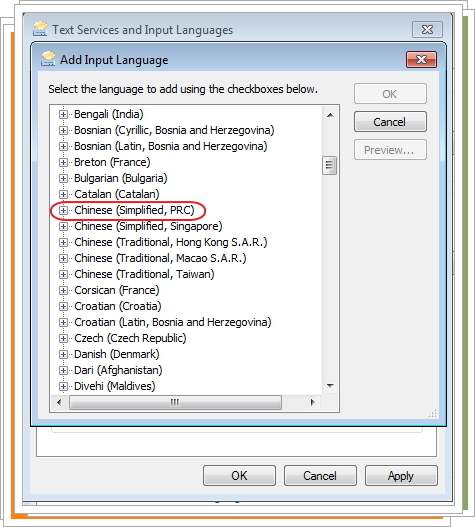 Step 9: After click "EN", choose "CH Chinese(Simplified, PRC)". 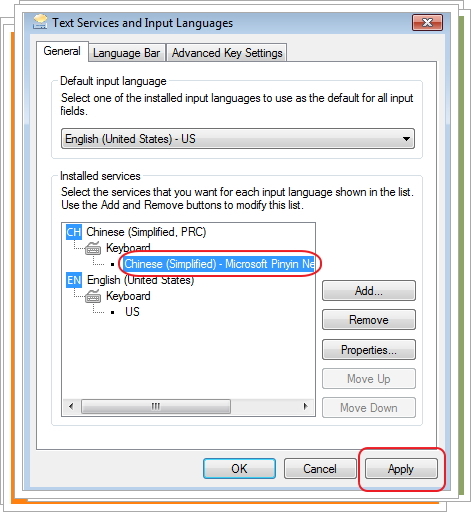 Step 10: The Microsoft New Experience Key In mode will be shown as above. you can click on the"Shift" key or simply click on the word "英“, and the mode will be changed as the following. 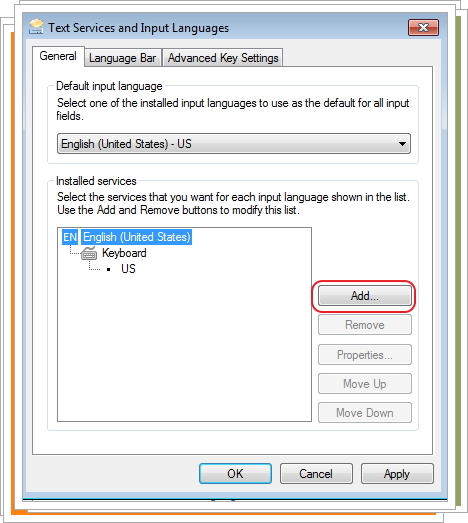 Step 11: Under this mode, the Key-in method is on Chinese mode for you to type in any Chinese character. 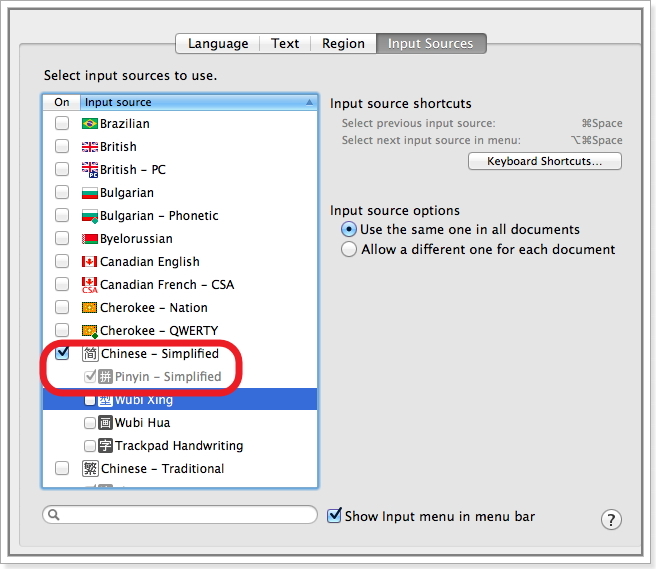 Step 12: If you already successfully apply your Chinese type-in method into your computer. t is easy for you to switch modes. Say if you are in Mode 1 and you prepare to type in Chinese. You can simply press "Alt + Shift" keys at the same time, then the Mode 2 will come up. For the mode transfer between Mode 2 and Mode 3, you simply press the "Shift' key. 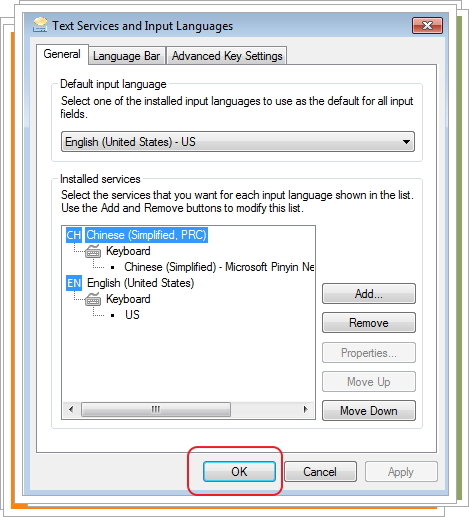 How to Set Up Chinese Pinyin Key-In Method? Step 1: Go to Menu Bar, Click on the US icon. Step 2: Click on the Input Resource. Step 3: Then choose 简Chinese--Simplified.